I love open source and community around it. 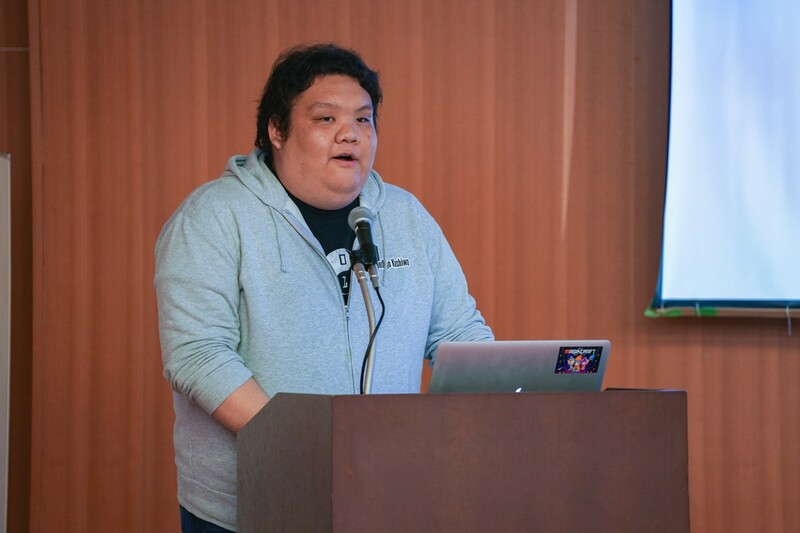 My job is to spread the open source spirits and business in Japan. Now I am the father of two lovely daughters. 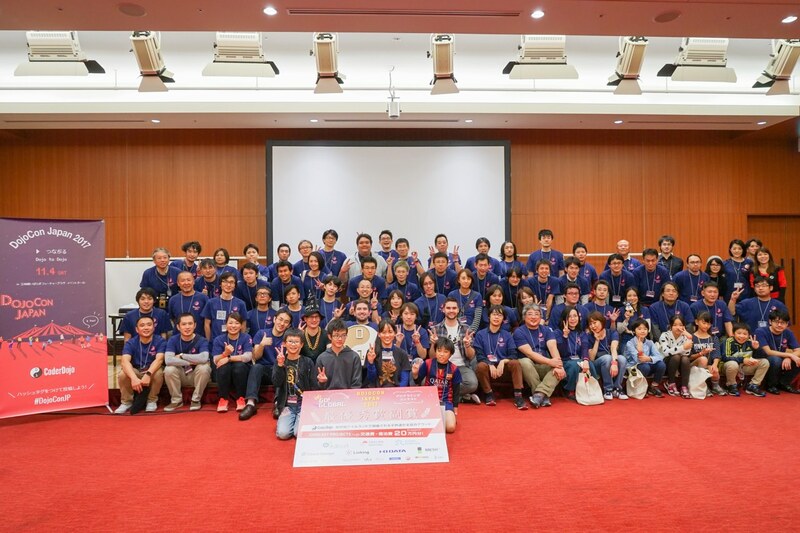 It’s no brainer that I started CoderDojo Owari in my town since April 2017 and help DojoCon Japan 2017. 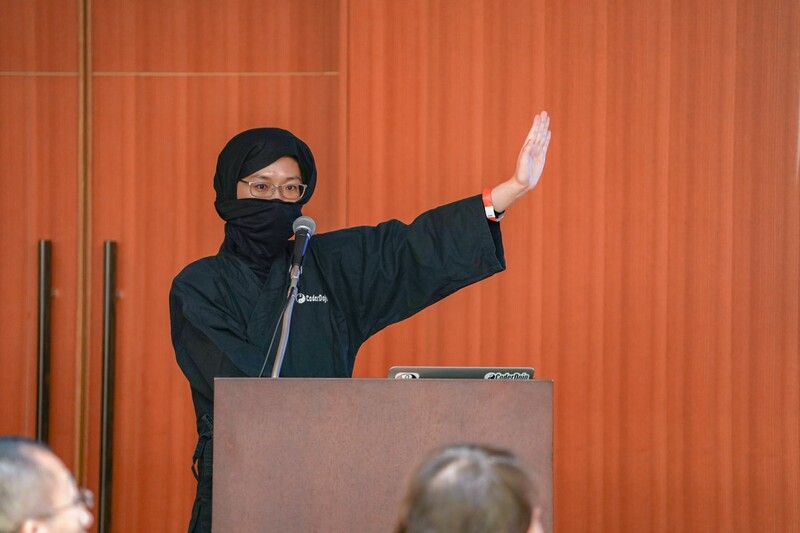 I was fortunate to be a translator for the event. 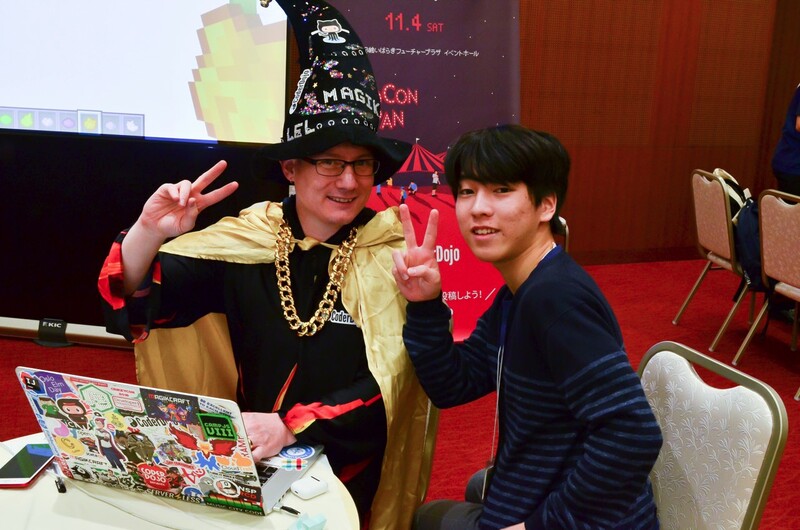 As a translator, let me briefly introduce what was going on at DojoCon Japan 2017. Over 40 volunteer staff members held online and offline meetings to plan, find a venue, getting the program ready. 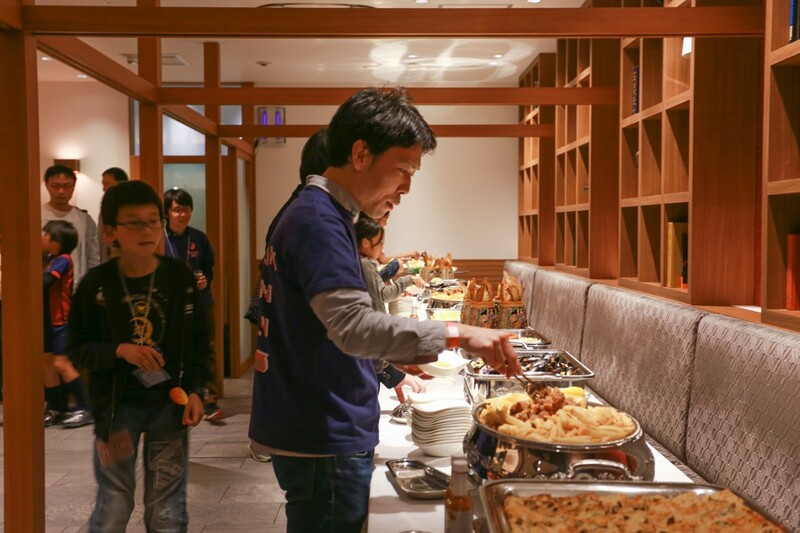 The staff members were mainly from Osaka area, but the people from all over Japan joined online meeting to prepare the event. 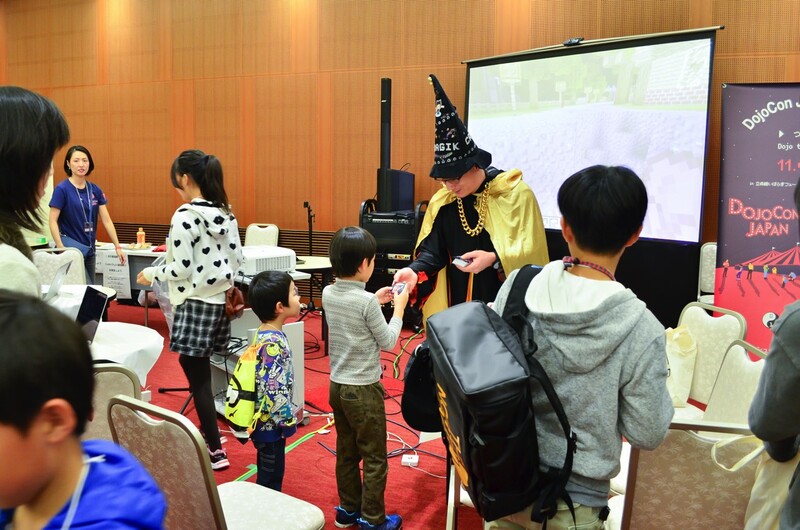 DojoCon Japan was held at Ibaraki Future Plaza Event Hall at Ritsumeikan University on November 4, 2017. Although Ritsumeikan has more than 100 years of history, Ibaraki campus just opened in 2015. All facilities were brand new. 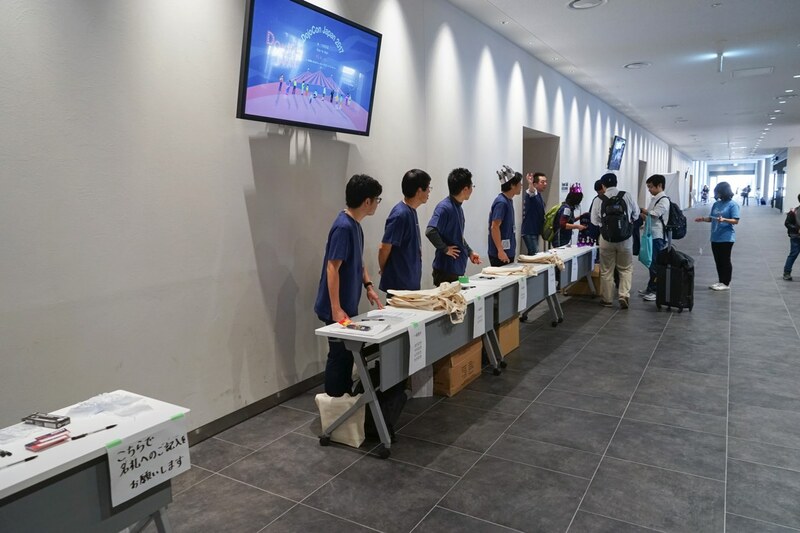 The event hall is like medium size conference hall which can hold up to 400 people. Staff members showed up in previous evening to prepare the layout. 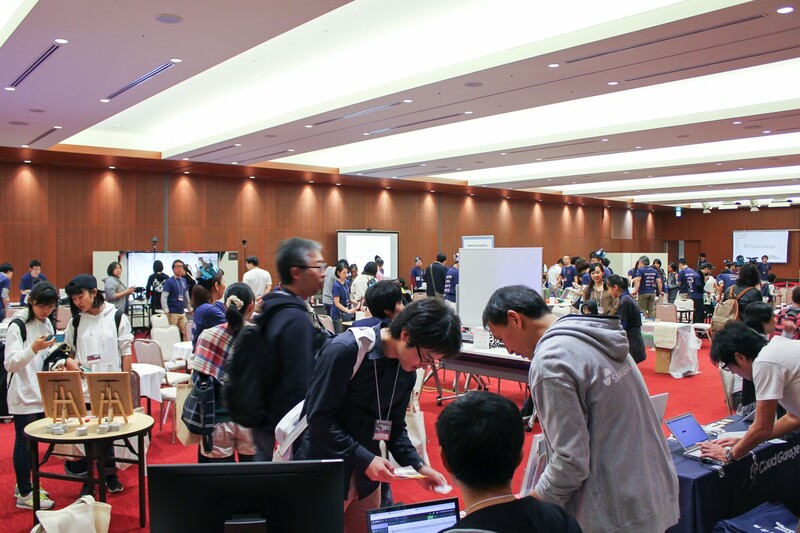 We mainly divided into two sections: session stage and workshop areas. 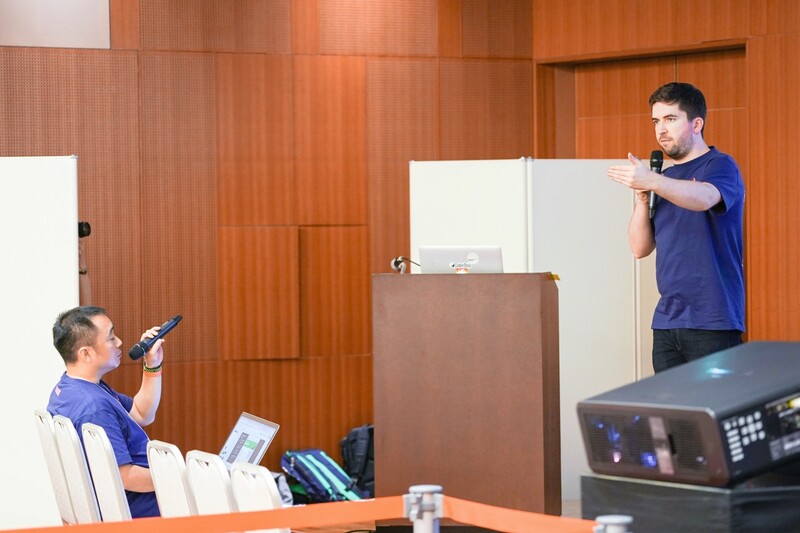 Although there was no divider between session stage and workshop areas, I didn’t get bothered by any noises. 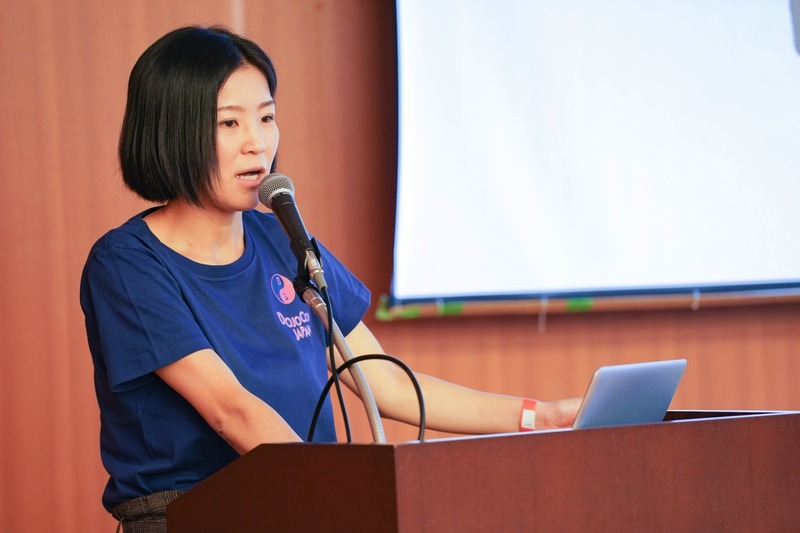 Speakers sessions started from Kaori Hashizume’s keynote to talk about what mentors should teach kids besides programming. 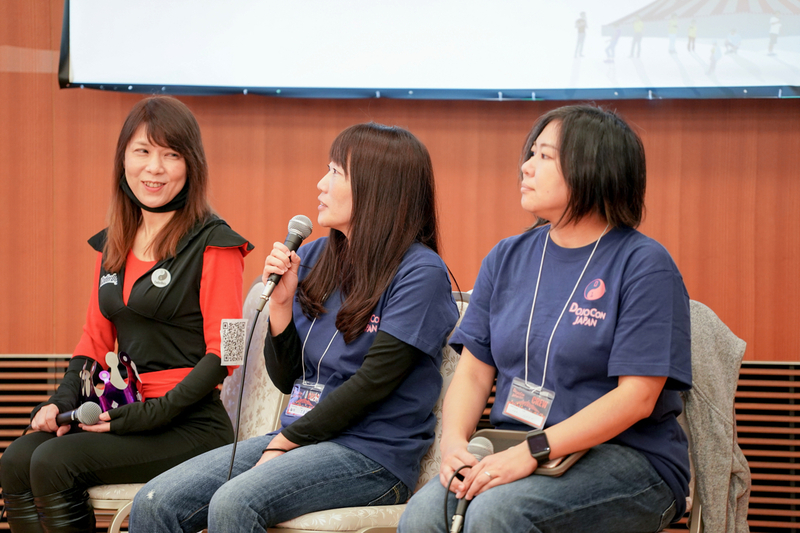 Next, three mentors, Ally Mukai, Akari Doi and Chiharu Nagatomi from Dojos around Kanagawa & Osaka region discussed about the reason why they decided to attend Dojos. 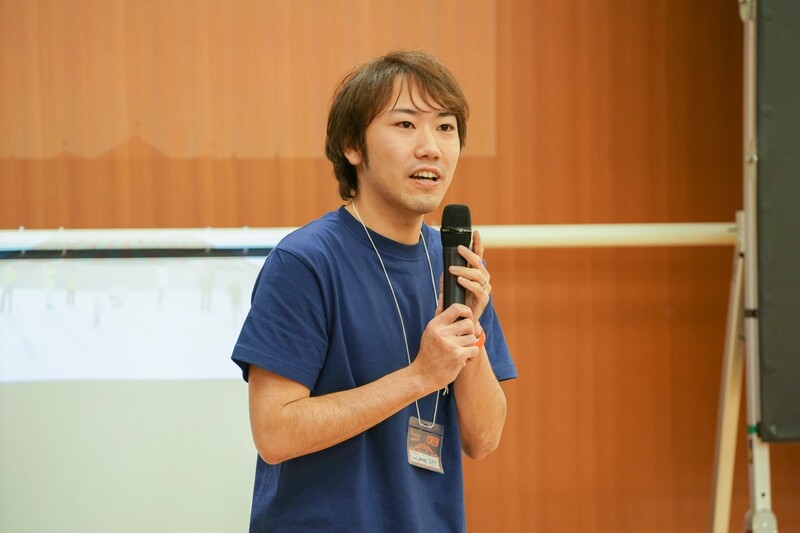 Kirie Miyajima from CoderDojo Kashiwa talked about how he is working with the local public school systems. 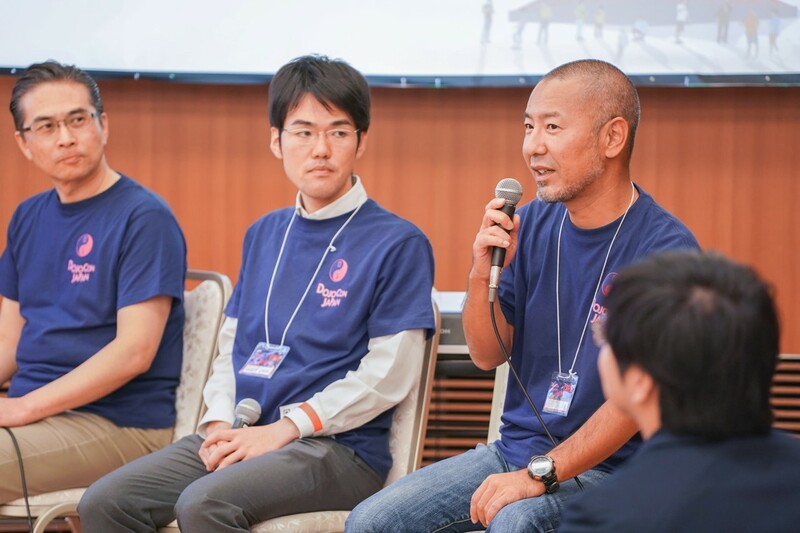 Three champions, Masami Mihashi, Masanori Nezumiya and Norifumi Ogawa gathered for the panel discussion round table moderated by Yohei Yasukawa of CoderDojo Japan Foundation to talk about running CoderDojo as champions. 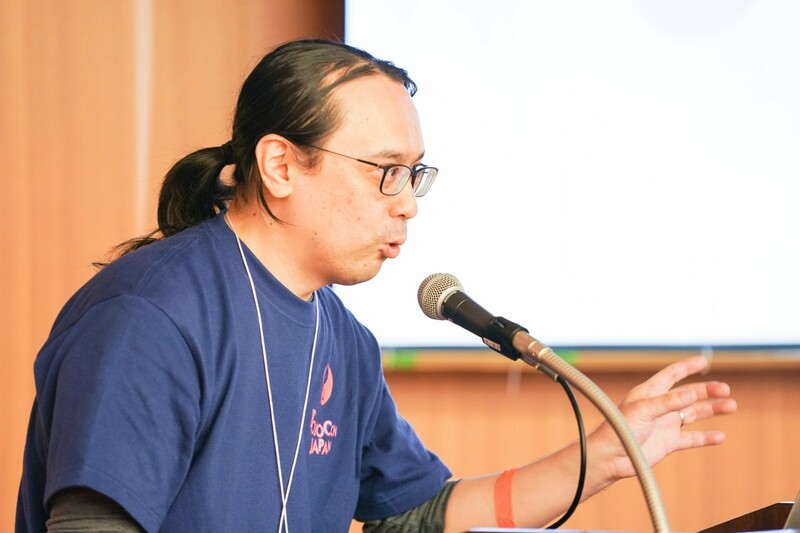 Yohei Yasukawa, then, briefed the demography of CoderDojos in Japan, and the works at CoderDojo Japan Foundation, then announced the 3rd board member of CoderDojo Japan Foundation who is Kirie Miyajima. 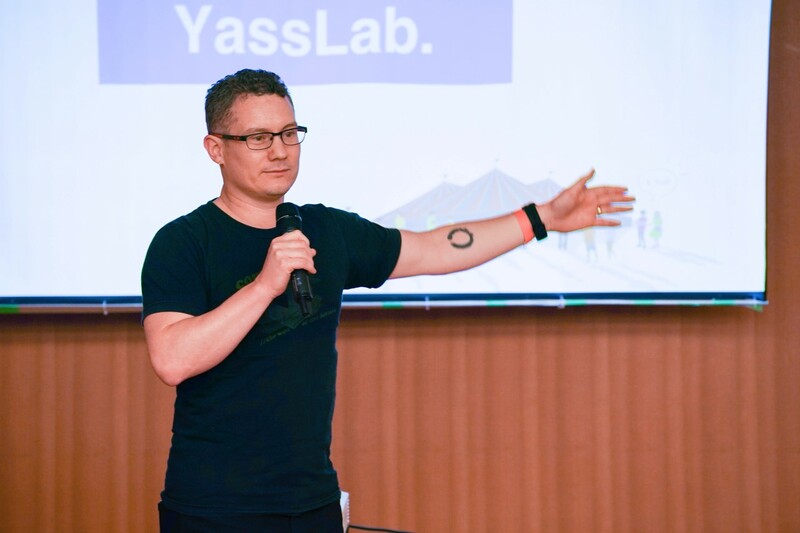 Josh Wulf introduced why he became a mentor because of his son and created Magikcraft to encourage mentors and champions. (I was very touched). 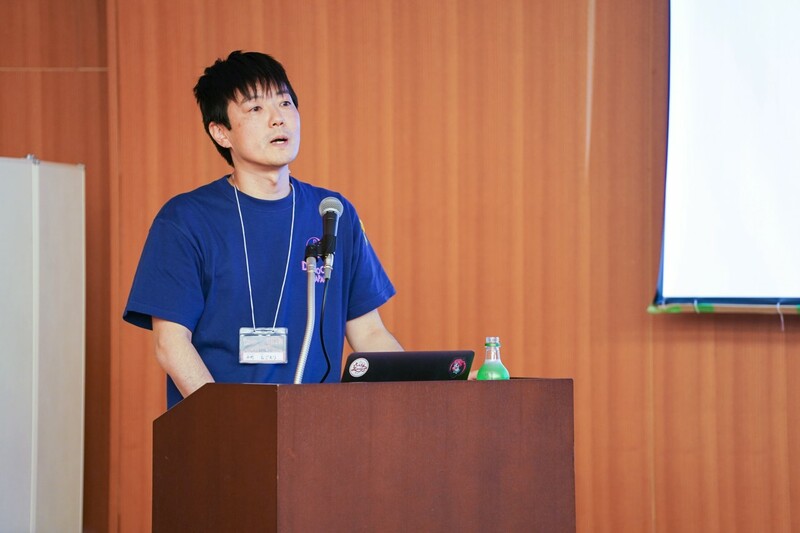 Takashi Ogomori showed how he use breadboards, such as Raspberry Pi and Arduino, and make kids interesting. 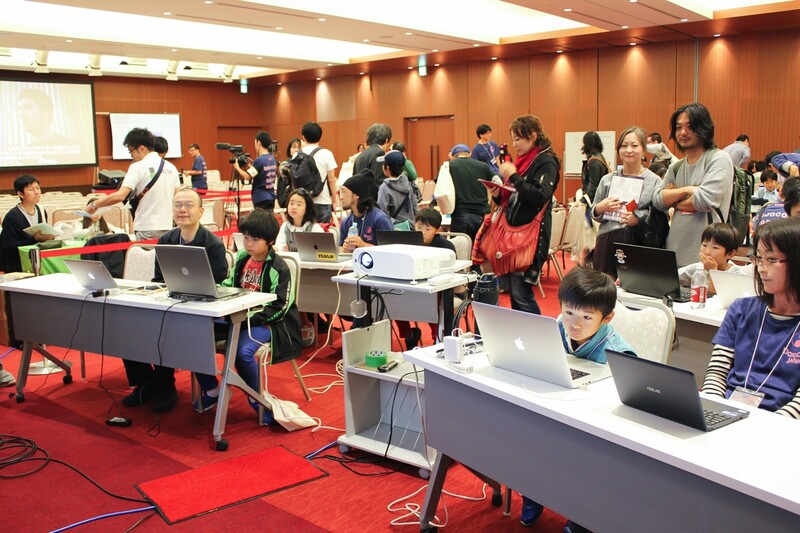 Hajime Oyake presented the way he present kids to learn scratch effectively called “Tsume Scratch”. 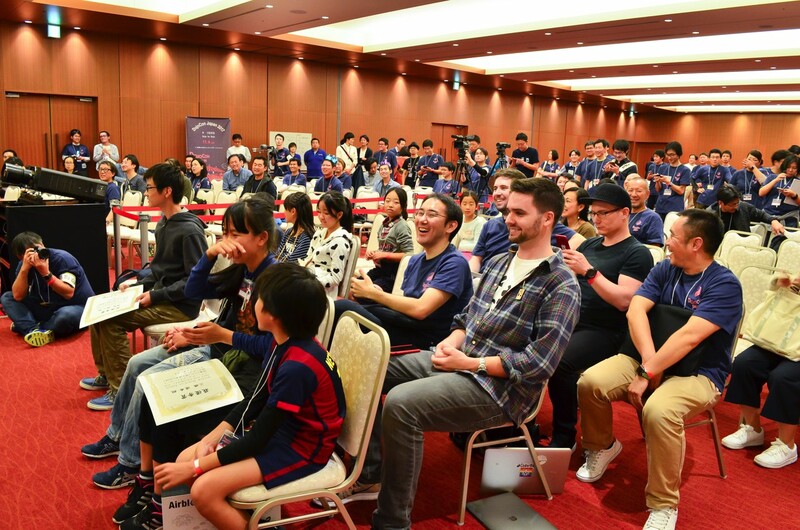 Lastly, James Whelton, the founder of CoderDojo, came back to Japan after the 1st CoderDojo in Japan to witness the expansion of CoderDojo. 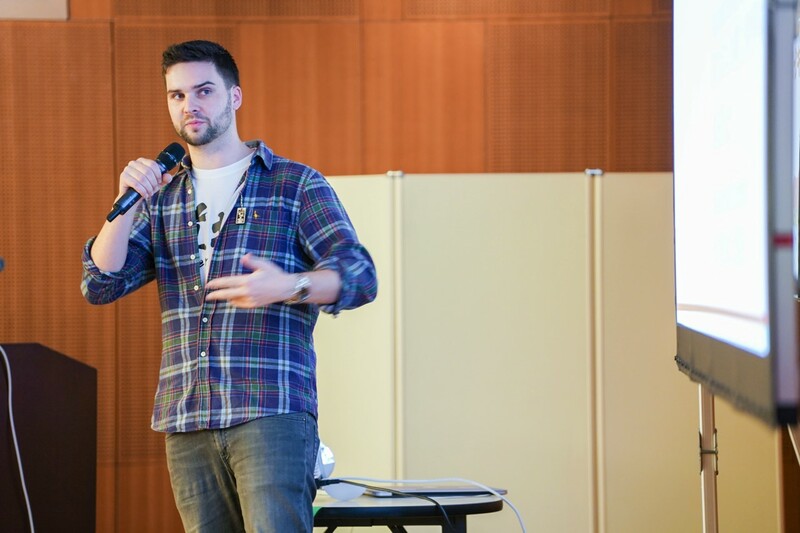 He came back to remind us his passion; why he started CoderDojo. 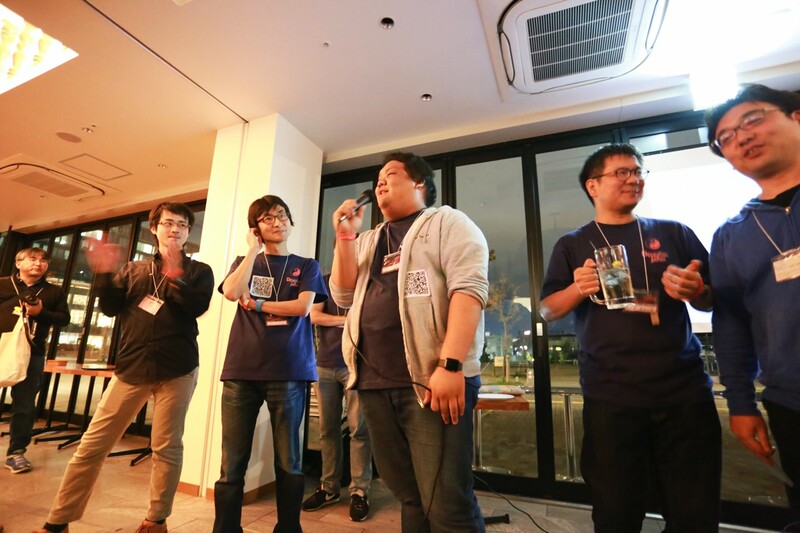 During the closing, we held the programming contest. The winners gets free tickets to Coolest Project. 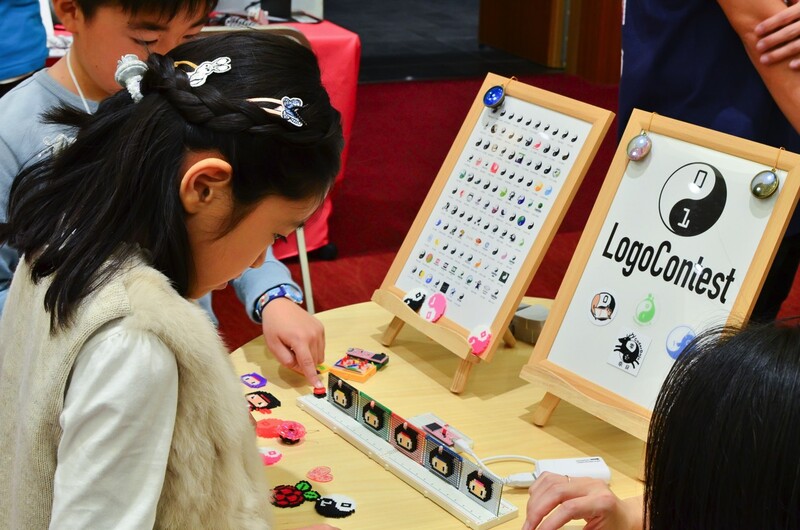 One of the unique points of this year’s DojoCon Japan was that they made kids-friendly environment. Not only mentors, champions and parents, staff members wanted kids to enjoy. 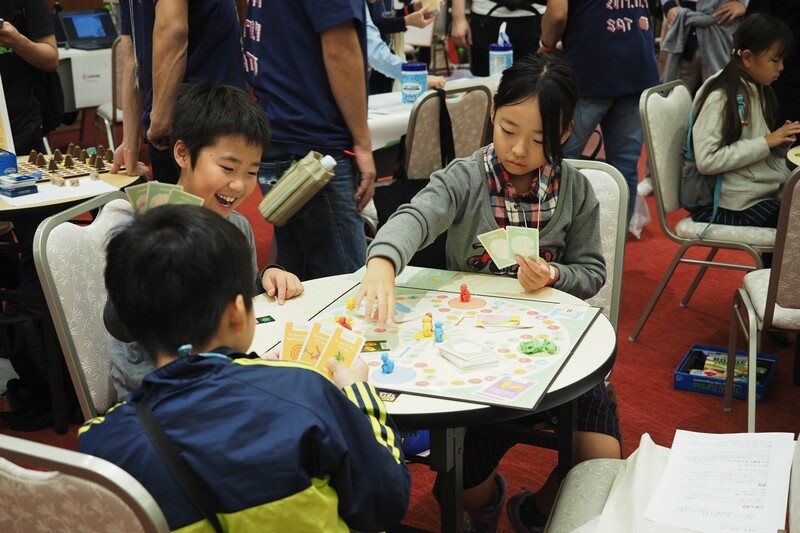 There are several workshops which kids can enjoy, such as Raspberry Pi workshops, board games. 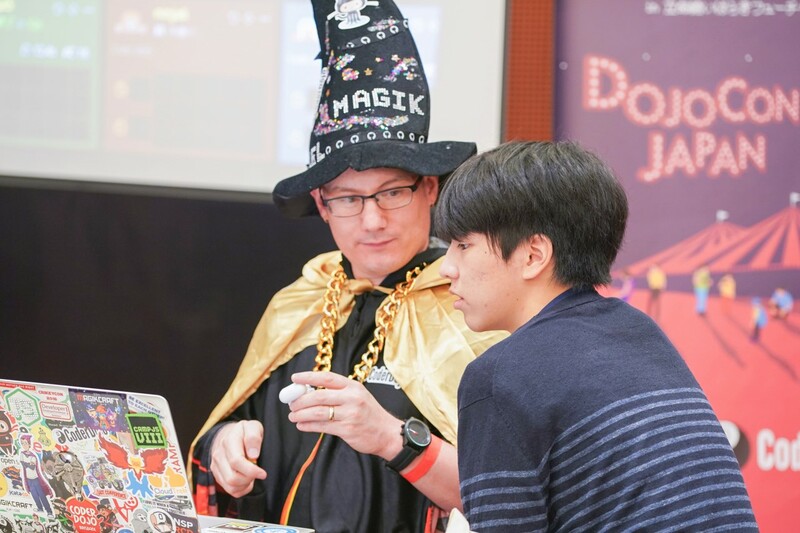 There were a several workshops to experience new gadget and programs, including Josh Wulf’s Magikcraft. Josh knew exactly how to entertain kids. Yet, once he sits in front of computer and started prepping his workshop, a few serious kids sit next to him. Josh cannot speak Japanese well, kids cannot speak in English. But they were able to talk through screen. That was memorable moment. 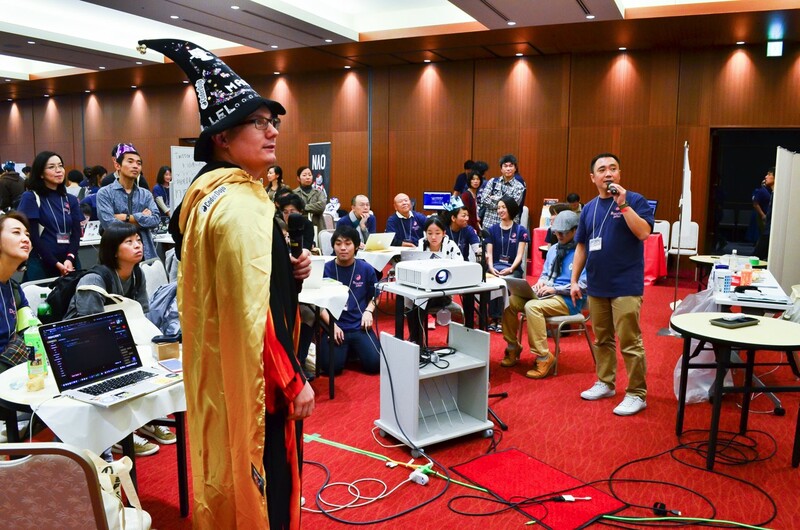 Of course, the workshop went well although we had very short time to prepare. We are very grateful for Josh to travel from Australia! 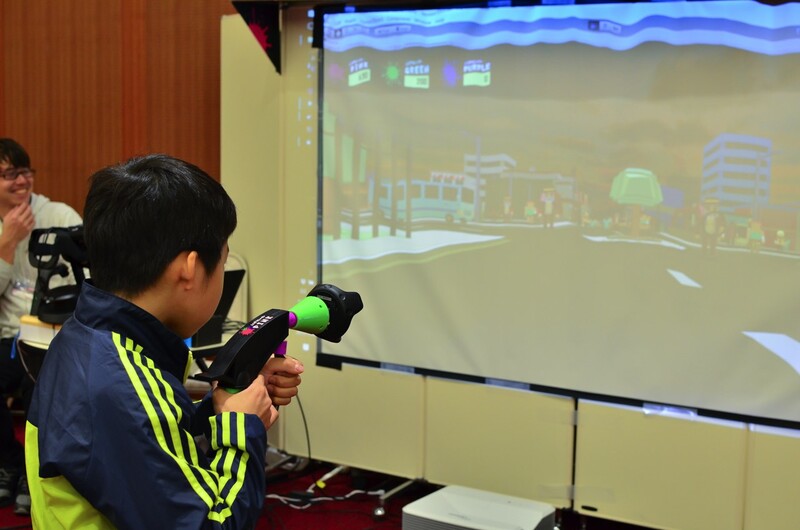 Another interesting workshop was the zombie paint gun game, Wonder Shooter. 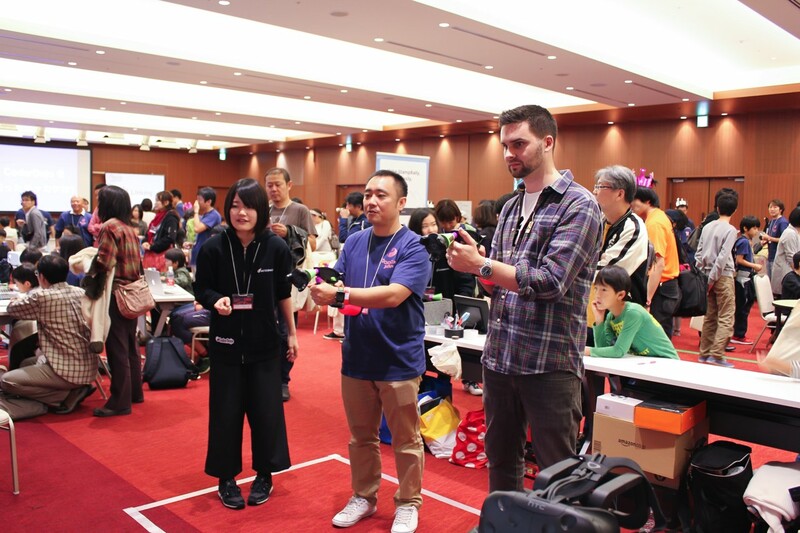 They were made by DojoCon staff using Unity and Vive tracking system. 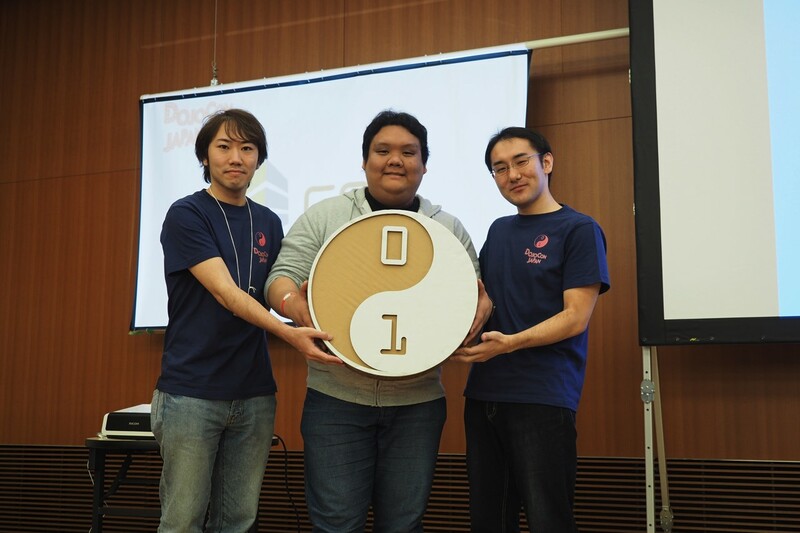 The main theme of DojoCon Japan 2017 was “Connect (Tsunagaru / つながる)”. 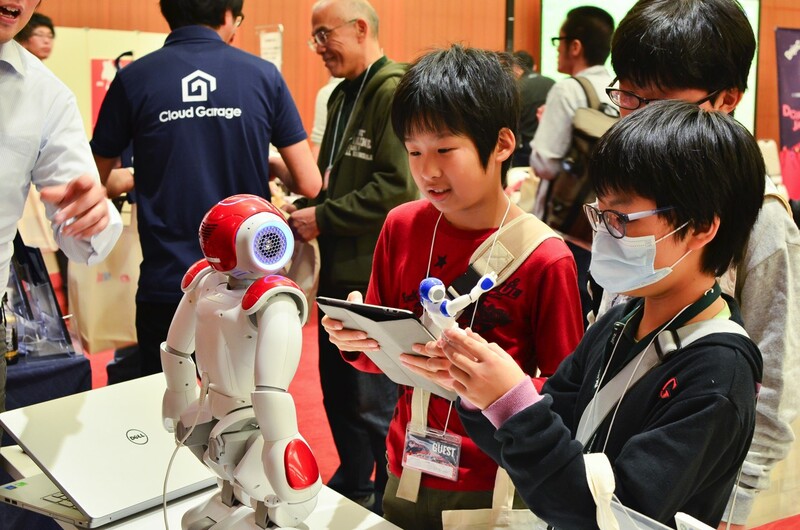 We wanted Dojos to connect. 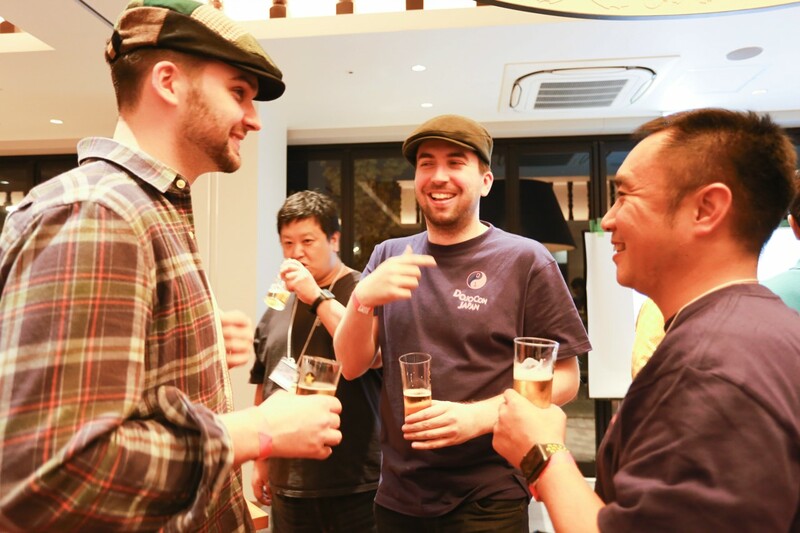 We want people to connect such as mentors, champions and ninjas. 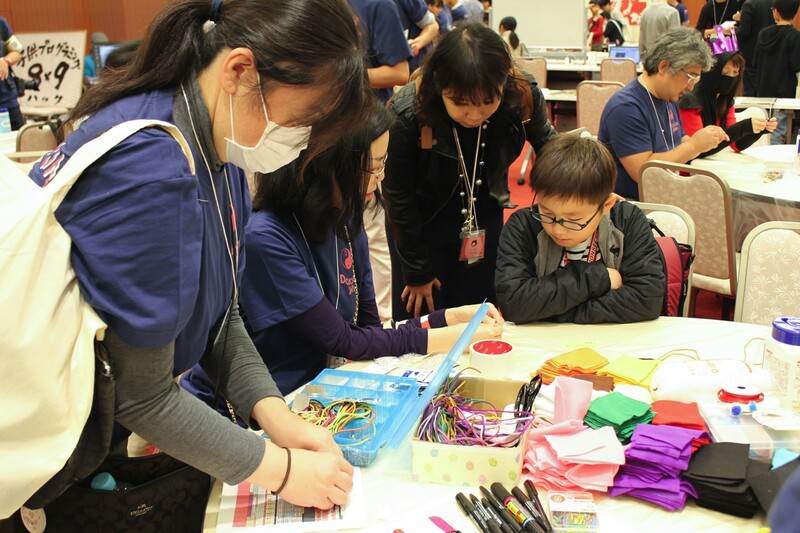 There are many program and workshop. 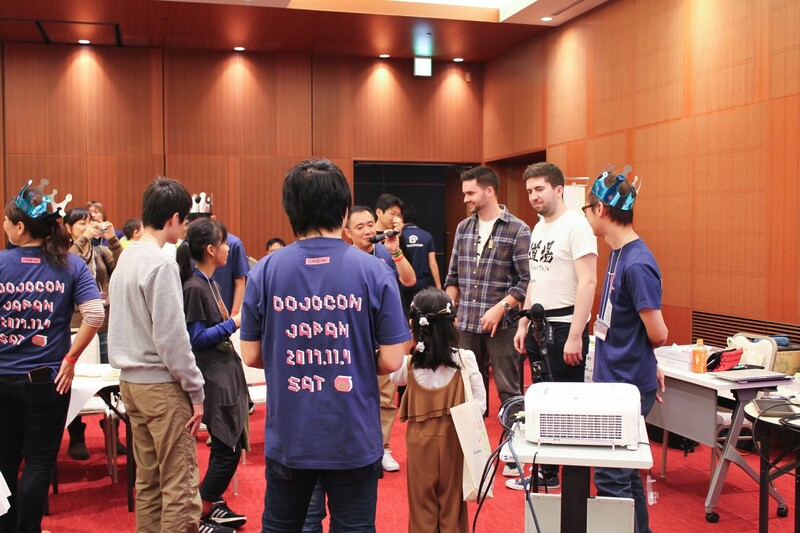 Champion stamp rally was to find CoderDojo champions who wears the crown to get the stamp for some present. One is to “tea time with James and Ross”. 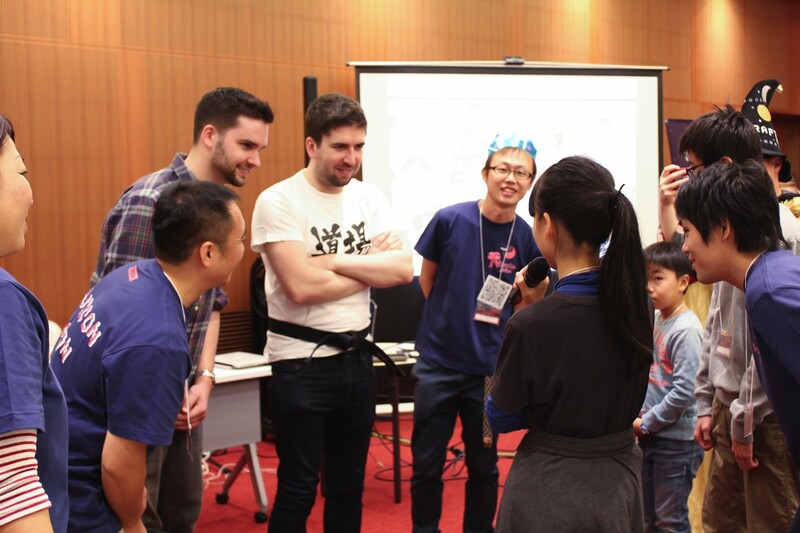 We invited kids to talk with James and Ross. Some kids were shy, but some could talk to them in English. 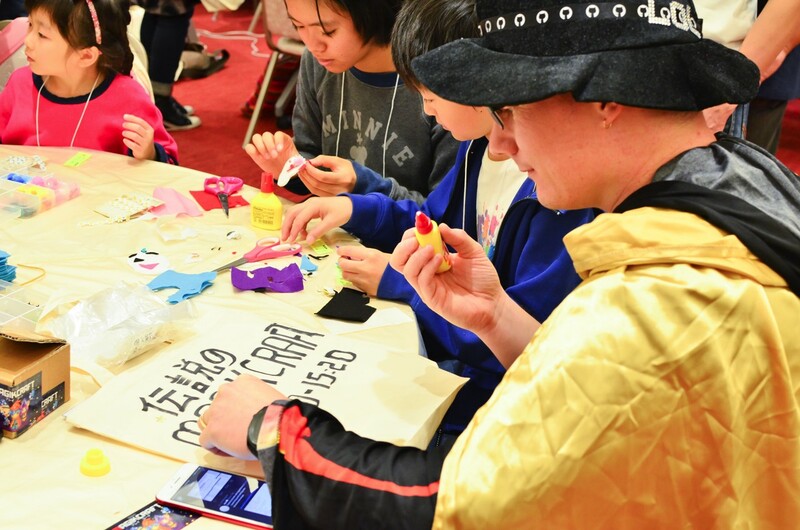 At DojoCon, white bags were given to attendees and encouraged to decorate and sign each other on it. 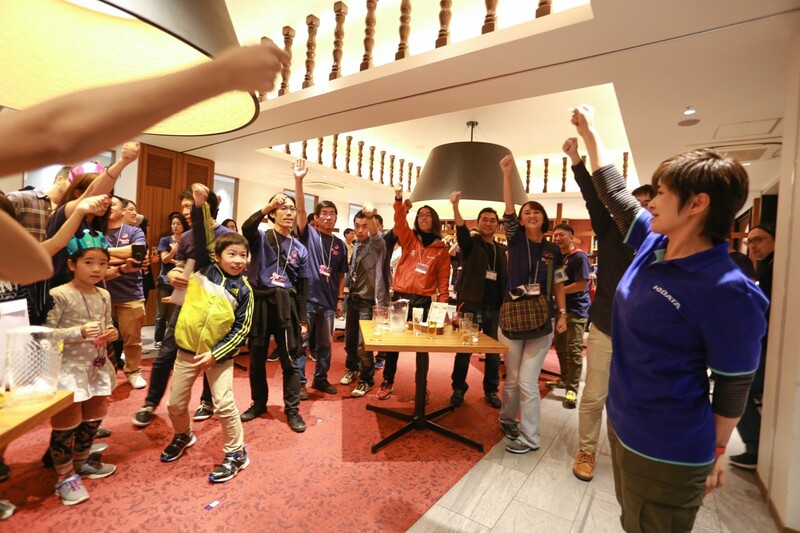 After the main event, staff members and champions went to the after-party. 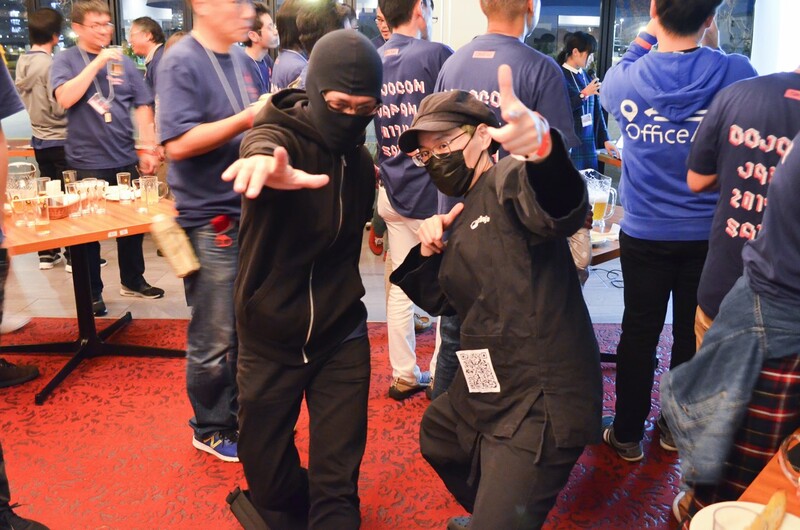 At the end of the event, there was spontaneous announcement that 2018’s DojoCon Japan will be held in Tokyo after 2 years of Osaka. 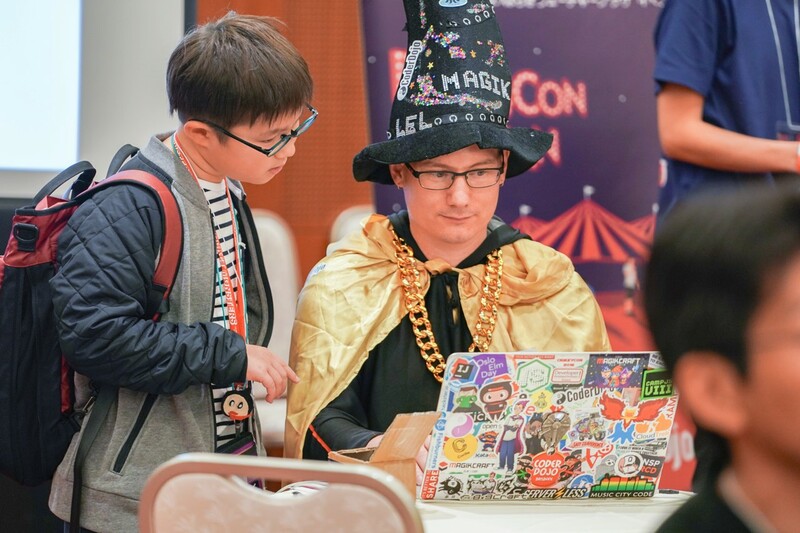 When I was young, there were nobody or no community who can teach me how to program. I was very lonely. 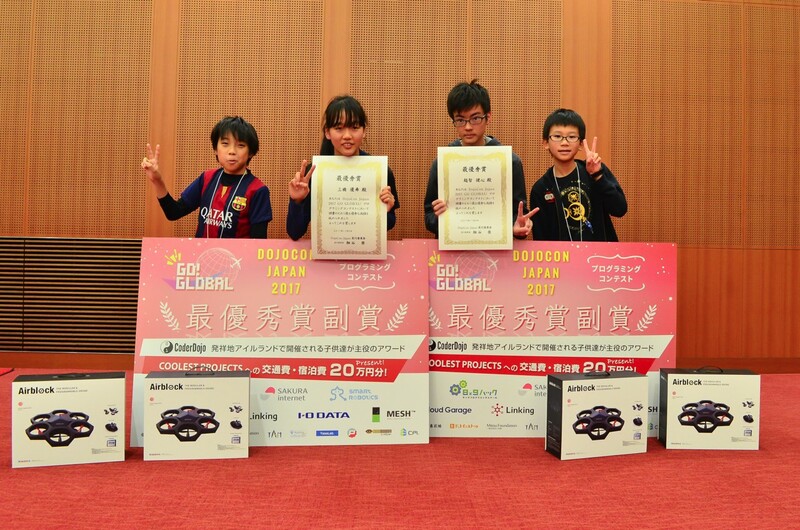 Now we have CoderDojo to share the knowledge and improve each other. 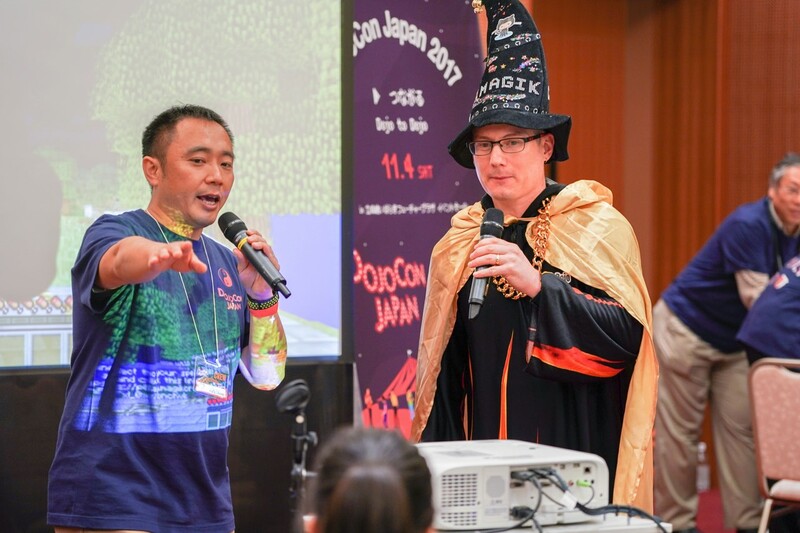 I was very fortunate to join DojoCon Japan 2017. I hope to come back next year! 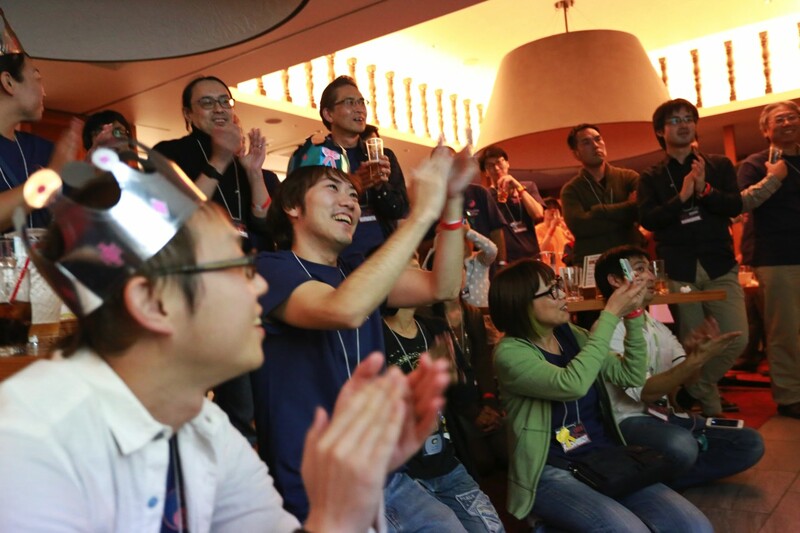 Lastly, kudos to Takashi Hosoya and all staff members who put together this awesome event!